Social science data, including medical and public-health information, can be mined to improve people’s lives. But doing so in a way that promotes sharing of the data while simultaneously preserving privacy by traditional means such as redaction and de-identification has proven difficult. Salil Vadhan, as lead principal investigator on Harvard’s Privacy Tools Project (together with Weatherhead University Professor Gary King, director of the Institute for Quantitative Social Science; professor of government and technology in residence Latanya Sweeney, director of the Data Privacy Lab within the IQSS; and other senior personnel, including Berkman Klein Center for Internet & Society executive director Urs Gasser, McKay professor of computer science Stephen Chong, and associate professor of statistics Edoardo Airoldi) is directing efforts to develop a tool that will make confidential data—sensitive economic information, information about political preferences, or diagnoses of disease, for example—useful to researchers while preserving the privacy of personal information. 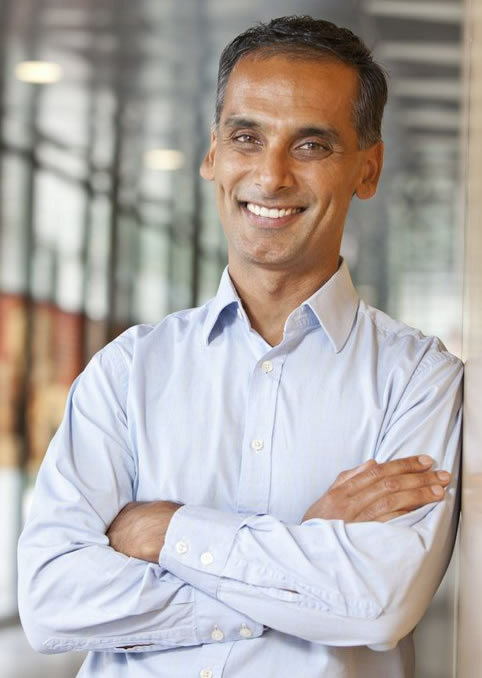 Given that there are now legal mandates for sharing data from federally funded research projects, as well as laws requiring that personal information be kept private and secure, Vadhan, Joseph professor of computer science and applied mathematics, and his colleagues have been working on a mathematical method called differential privacy that could deliver both services to academic researchers. The work has given Vadhan practical insight into the debate over the use of distributed versus centralized systems for enhancing privacy and security (see main text). On the one hand, advocates of distributed computing systems, like Yochai Benkler, emphasize the structural and legal vulnerabilities of storing vast quantities of sensitive data in a single location. On the other, engineers like Ben Adida have reported on the technical and practical hurdles facing smaller companies and open-source efforts that attempt to deliver security in distributed settings. For distributed systems, he continues, “some really amazing things are possible—in theory.” The privacy tools project itself has focused on the centralized model to start with, for one simple reason: “it’s technically easier,” he says. “Modern cryptography tell us that, in principle, anything you can do with the data centralized, you can also do in a distributed setting where the data is not collected in one place. But Ben is right, that when you talk about bringing the theory to practice and actually making it work, both at a technical level and also at an institutional, organizational, and political level, getting one of these distributed systems to work out can be quite challenging.” A new privacy tools project led by Kobbi Nissim that started in April 2016 will focus on advancing the science of privacy-preserving computation on distributed data. “Hopefully, one day we’ll reach the point where more of these distributed systems become practical,” Vadhan adds. But this can happen only if the privacy of human research subjects can be assured first, so the data can be shared widely—and safely.